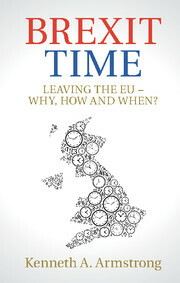 Time for a Rethink – What Did We Learn From Today’s Opinion on Revoking an Article 50 Withdrawal Notification? In an Opinion published today, Advocate General Campos Sánchez-Bordona has recommended to the Court of Justice of the EU that it finds that it is legally possible for a Member State to revoke its Article 50 withdrawal notification and that it may do so unilaterally. The Advocate General emphasised the unilateral nature of the notification of an intention to withdraw from an international treaty. For him, this continues throughout the Article 50 process meaning that the ‘intention’ to withdraw can change and a Member State may exercise its sovereignty to revoke its intention to leave the EU up until the expiry of the two-year period following the original notification. In short, the UK has up until 29 March 2019 to notify the European Council if it wishes to change its mind and the agreement of the other Member States is not required. However, the powers of a Member State to revoke a notified intention to leave the EU are not unconditional. Firstly, a notification must be in accordance with national constitutional requirements meaning that the domestic constitutional rules and procedures are a limit on the power of a government to indicate a change of position. Secondly, the principles of good faith and sincere cooperation are applicable to avoid an abuse of the right of revocation. Today’s Opinion arose from judicial review proceedings brought earlier in the year before the Scottish courts seeking to determine whether EU law permits the UK to revoke its notified intention to leave the European Union. The case was initiated by members of the Scottish, UK and European parliaments and was initially rejected on the grounds that it appeared to raise a largely hypothetical question as the policy of the UK government is not to revoke the Prime Minister’s letter of 29 March 2017 notifying the European Council of the UK’s intention to leave the EU. On appeal, the Inner House of the Court of Session was mindful that in terms of section 13 of the European Union (Withdrawal) Act 2018, members of the UK Parliament have an opportunity to vote on the Withdrawal Agreement and Political Declaration negotiated between the UK and the EU as part of the Article 50 withdrawal process. With a parliamentary debate on the Brexit deal beginning today and ending in the so-called ‘meaningful vote’ on 11 December, the argument before the Scottish court was that in order to make up their minds, MPs also needed to know whether there was a legal option to revoke the Article 50 notification. The Court of Session decided it needed a definitive legal interpretation of whether revocation was permissible under Article 50 and, if so, whether it could be undertaken unilaterally or only with the agreement of the EU27. The UK Government has opposed the attempt to involve the Court of Justice and even sought to appeal the decision of the Court of Session to the UK Supreme Court. But with the Supreme Court refusing permission to appeal to it, proceedings got underway before the Court of Justice. The Court of Session had requested that the Court of Justice handle the case with urgency and today’s Opinion comes very rapidly after the oral hearing on 27thNovember. At that hearing, the UK Government continued to oppose the admissibility of the case on the grounds that it would draw the Court of Justice into a political issue. Although the European Commission also thought that the Court of Justice could be justified in refusing the admissibility of the case it did recognise the exceptional and constitutionally significant nature of the question being asked before the Court. However, on the substance of the case, both the European Commission and the European Council believed that a state could not revoke an Article 50 notification unilaterally but rather needed the unanimous consent of the other Member States. That view was rejected by the Advocate General in today’s Opinion. However, it will still be for the Court to come to its own decision on the admissibility of the legal question posed before it and if so, whether it agrees that revocation is unilateral. The answers provided by the Avocate General to these questions are consistent with my own views expressed in an earlier blog on Verfassungsblog. On the one hand , given the timing of the meaningful vote a week today and the uncertainty which inevitably arises from a non-binding Advocate General’s Opinion, an early final judgment of the Court is highly desirable. However, this case is only the fifth case to go to a Full Court composed of all judges in its modern composition of more than 20 judges. Getting a quick ruling will depend on whether a consensus has emerged on the admissibility of the case and on the answers to be given to the questions posed to the Court. The Court may also wish to avoid what might look like an overtly political intervention in the febrile domestic politics of Brexit. On the other hand, a judgment after the Commons vote on 11 December is not necessarily irrelevant given the likelihood that the vote will see the Prime Minister’s deal rejected making a second vote or even a referendum a distinct possibility. Remainers are likely to seize on the Advocate General’s Opinion in seeking to propel the Brexit debate towards a further referendum to include an option for the UK to change its mind and remain in the EU. Leavers are perhaps more likely to see today’s events as an unwanted interference in a domestic political matter. Next Next post: Putting the Bullet Back in the Chamber -Could Parliament Exit from Brexit?